It’s been over a week now since East Side Mario’s closed its doors for good here in Medicine Hat. I’m posting because I wanted to ask our visitors if they know why? I haven’t been able to find out personally, but I have made a couple speculations based on our global economy. East Side Mario’s was busy every time I’ve went there, and even when I visited on obscure times of the day, like between lunch and dinner there was still quite a few people. I wouldn’t recommend anybody to go on a Saturday night because it seemed like a madhouse with all the people there. So with all these people, why did it close? Was it the food? Was there health problems? I found the food good every time I visited and I tried a lot of the menu over the years of going there, although it could be a bit pricey the soup and non-stop french bread (YUM!) more than made up for it. 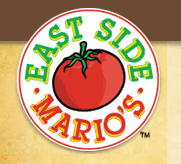 The Alberta Health Services site no longer lists East Side Mario’s so I can’t confirm any health problems. Like I stated above, the only reason I could think of is with all these chains (like Starbucks) closing and shutting down their locations across the globe due to the recession, it could just very well be that this one was targetted for whatever reason. Anybody know? This entry was posted on Tuesday, July 7th, 2009 at 12:37 PM and is filed under Rants & Stories, Restaurants & Hospitality. You can follow any responses to this entry through the RSS 2.0 feed. You can leave a response, or trackback from your own site. I never liked their food overall, besides the french bread, which it wasn’t uncommon for me to get 2-3 loaves before leaving the store. Pizza was mediocre and expensive, all other food was reasonably expensive and meh at best. Service almost every time I went there too was fairly meh except maybe one time. I remember really wanting an East Side in Medicine Hat, then we got it, and I had good times, and now it’s gone. No more delicious ceaser salad and bread loafs, no more awesome Sausage Penne. We went tonight….what the heck, door closedm no notice on the door… we looked into the window and see it is a permament closure. and the waitress there was without a clue as to why it closed, but was aware that it was a permanent closure. I used to own an east Sides. Not the only locaiton closed out west. Edmonton closed in 2007. Sales dropped from 3 million ot 1.7 million. Don’t know why about Medicine Hat. they are all franchise owned. Either they weren’t making moeny, or they were not following the franchise agreement, and were not using hte proper products. The main company itself is in trouble. The one in Medicine Hat wasn’t good by any means. The pizza was alright, but might as well get Pizza 73 for cheaper and better. I went to the one in Lethbridge a few weeks ago and my meatballs looked like meatballs on the outside, but the inside was processed meat and had the texture and taste of Chef Boyardee meat. As far as I am concerned, the only thing East Side Marios has going for them is their free bread, which tastes wonderful. Every single East Side Mario’s in Edmonton has closed as well… One in the south, two in the north, and one in Sherwood Park. Must be something to do with the chain rather than the individual stores. I’ve been trying to find out why myself. The Chain has made very good step’s towards improving the brand by deleting stores that were short cutting or not following Brand standards. The medicine hat location closed due to the fact the location was not achieving enough sales/ traffic to operate profitably, the bottom line on most well run restaurants is only close to 5%. The Lethbridge location will reopen soon under new ownership with a renovation sometime in the future. I used to work at the east side in medicine hat.. I had many troubles with the management. They did not treat their workers well. I have only bad memories of working at that restaurant.